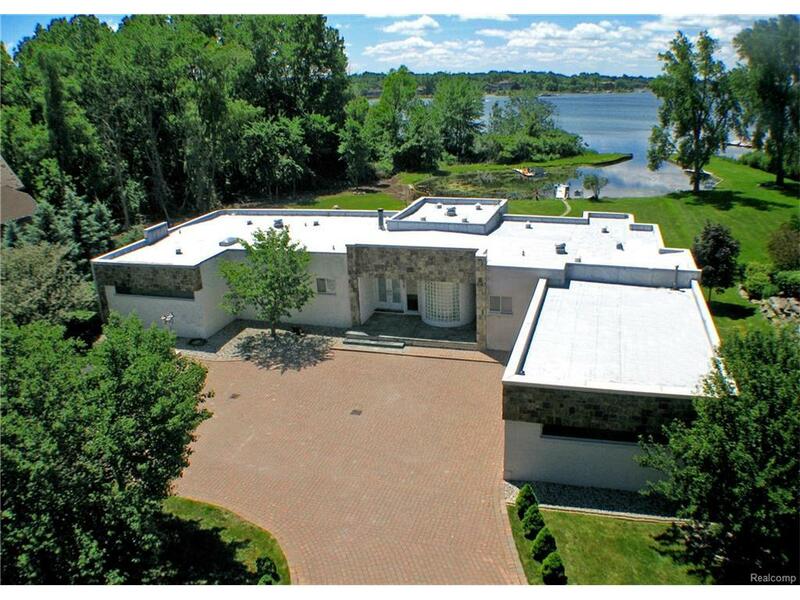 Magnificent Lakefront Contemporary Home w/ Gated Entrance situated on over an acre on Private All Sport Walnut Lake. Over 8,000 Sq. Ft. of Stunning Open Living Space w/ Marble & Hardwood Floors, Walls of Windows & Lake Views from Almost Every Room. Marble Foyer Opens to Great Room w/ Soaring Ceiling & Wet Bar. Formal Dining Room w/ Built-In Buffet. Solarium w/ Exquisite Views of the Lake. Gourmet Kitchen w/ Island. Spacious Family Room or Den w/ Built-Ins & Doorwall to Covered Terrace. Overlooking Lake. Luxurious 1st Floor Master Suite w/ Dressing Area & Luxury Bath w/ Marble Shower & Jacuzzi Tub. and Walk-In Closets. 6 Bedrooms, 6.2 Baths. Finished Walkout w/ Family Room, Theatre Room, Kitchen/ Bar, 2 Bedrooms, Exercise Room, Den/ Office. 1 Full Bath, 1 Half Bath, Lots of Storage. Fabulous In-Ground Pool, Huge Backyard & Approx 120 Ft. Lake Frontage. Custom Brick Exterior, 4 Car Garage. 24 Hour Notice to Show. Showings available on Weekdays. All M & D Approx.